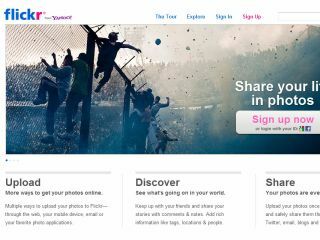 Flickr has revealed that more customisation tools will be coming to the photographic social networking site, which is currently undergoing a revamp. Speaking to TechRadar, head of product for Flickr, Markus Spiering said, "We see a lot of different user types on Flickr, we have amateur photographers and professional photographers, but honestly not so much (the latter), they have very different needs." Flickr has faced increased competition from newer social networks such as 500px, which allows photographers to have their own "home page", rather than the gallery style currently employed by Flickr. When asked if Flickr would consider more customisation tools, Spiering said, "Yes, we will definitely talk with you again," but he was unable to share more details. "If you think about the total number of pro photographers, it is still a huge number, other sites would be really happy to have this number," Spiering continued. "More of a core point for Flickr is people who are enthusiastic about photography, iPhone photography, pinhole cameras, or whatever." Last year it was revealed that the iPhone was the most popular "camera" used on Flickr. "I think the end product you design usually with a certain customer in mind, and I think how we are designing the page is to build the best experience for a person that really loves photography, it doesn't mean they are good or a professional," said Spiering. "If we achieve the best experience for those people, I think others will come too."